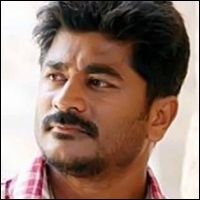 Raju Sundaram the acclaimed choreographer and Prabhu Deva’s brother is all set to make his directorial debut in Telugu. His last outing as a director was Aegan with Ajith. Power Star Pawan Kalyan, younger brother of Chiranjeevi has asked him to direct his next film which has been scripted by SJ Suryah. Of course, Raju Sundaram was only too happy to accept. The film might be made as a bilingual. The project will hit the floors once Pawan completes his remake of Dabangg and another film with Vishnuvardhan. In the mean time, Raju Sundaram will be making preparations for the film and searching for a suitable heroine.